After a successful sale of your property, the real estate commission is shared among all who assisted in this important transaction. 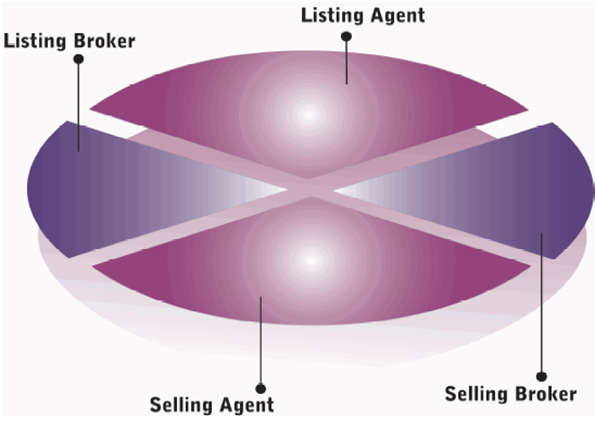 Generally, the commission is divided four ways: to the listing broker, the listing agent, the selling broker and the selling agent. In recognition of the important roles each played in the sale of your property, each is compensated by a percentage of the commission. Sales associates are self-employed, and receive no salary or benefits. They get no paid vacation time, insurance, company cars or expense accounts from the firm they work with. Sales associates are only paid for results- if and when they successfully complete a property transaction. Market Link Realty sales associates are paid the same whether a buyer purchases a home listed by Market Link Realty or another broker. As independent contractors, sales associates have on going out of pocket expenses similar to those of any small business.